First pack. 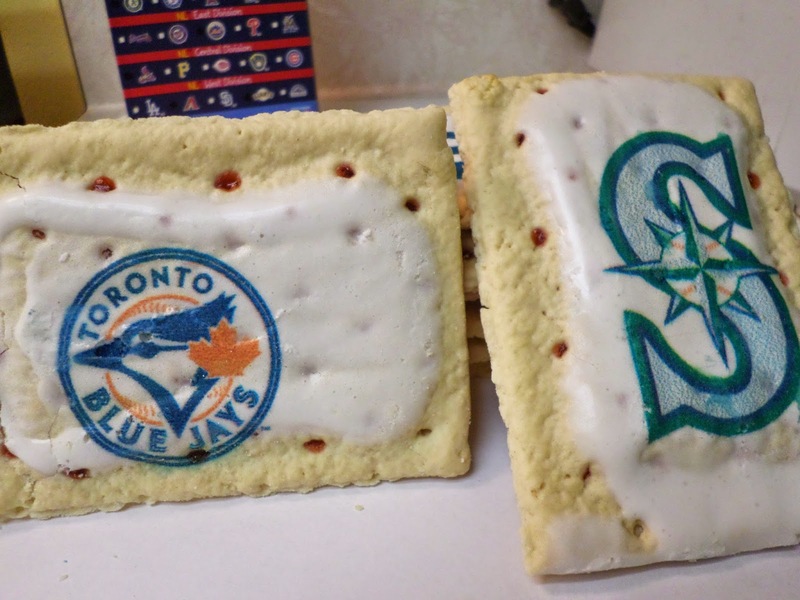 If nothing else, I hope that I don't get the MLB logo again. Philly and Houston. 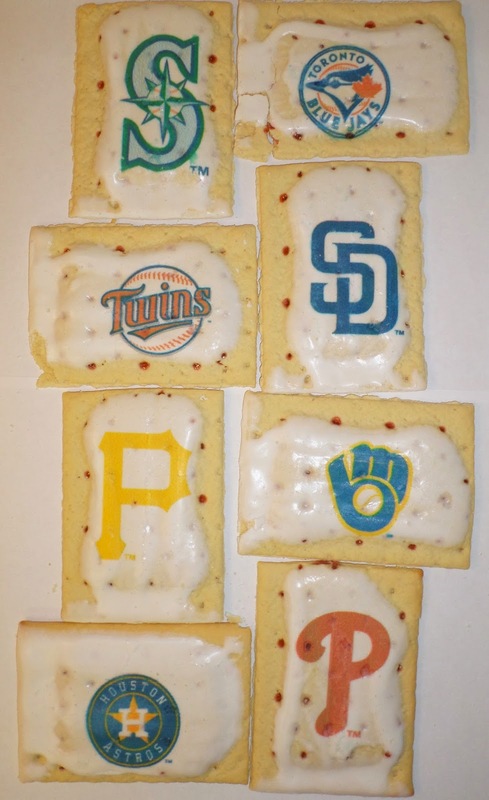 Even if these teams are insufferable, at least the icing coverage is better on these. 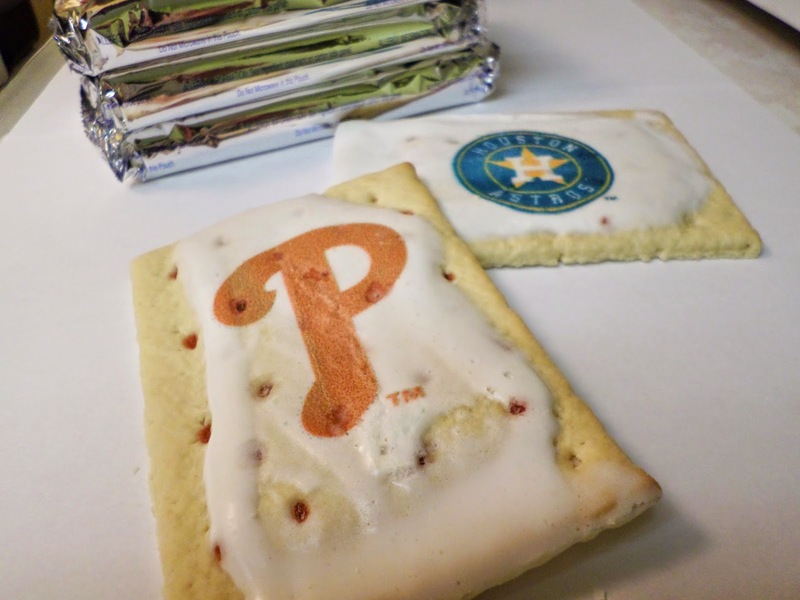 Also, after looking at these, I really hope they don't ever make cheesesteak Pop-Tarts. 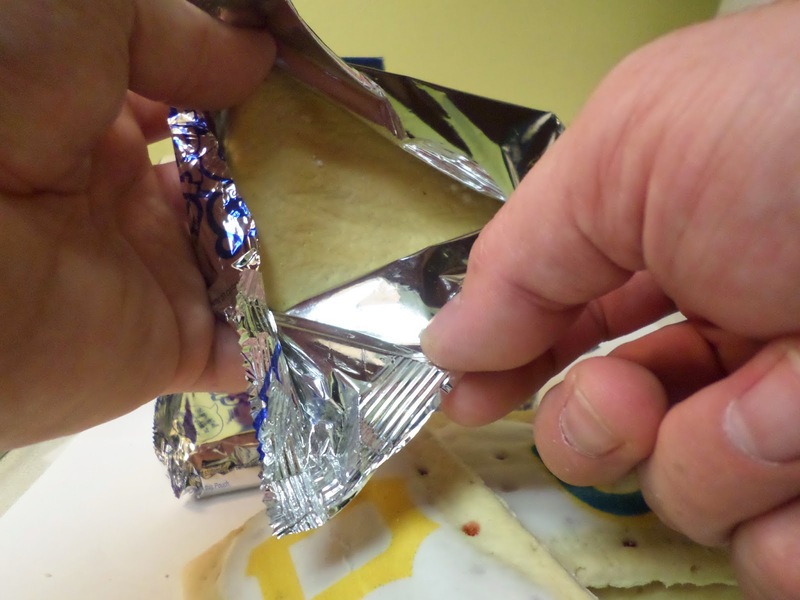 I know that Hot Pockets already covers that market, but Hot Pockets can be frozen. 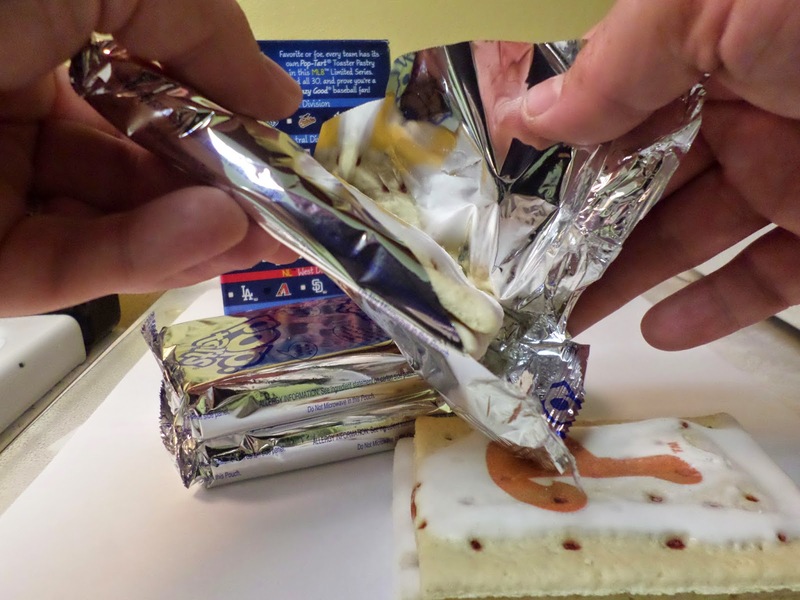 Pop-Tarts have to be shelf-stable. No good could ever possibly come from the words "shelf-stable meat". On to the second pack! Okay, this one is a split package here. 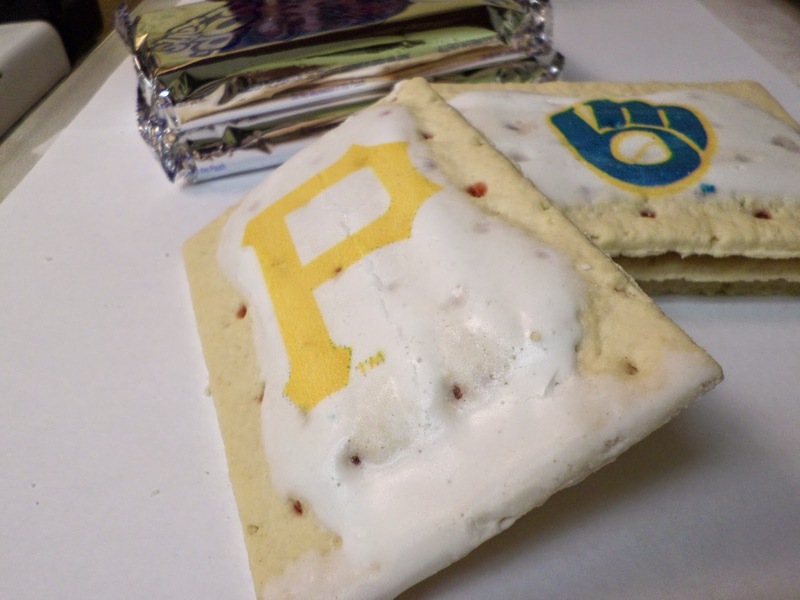 I like the Brewers okay (even if they do share a state with the Packers), but thanks to my father and his love for the team, I absolutely hate the Pirates. Okay, I can deal with these two teams. 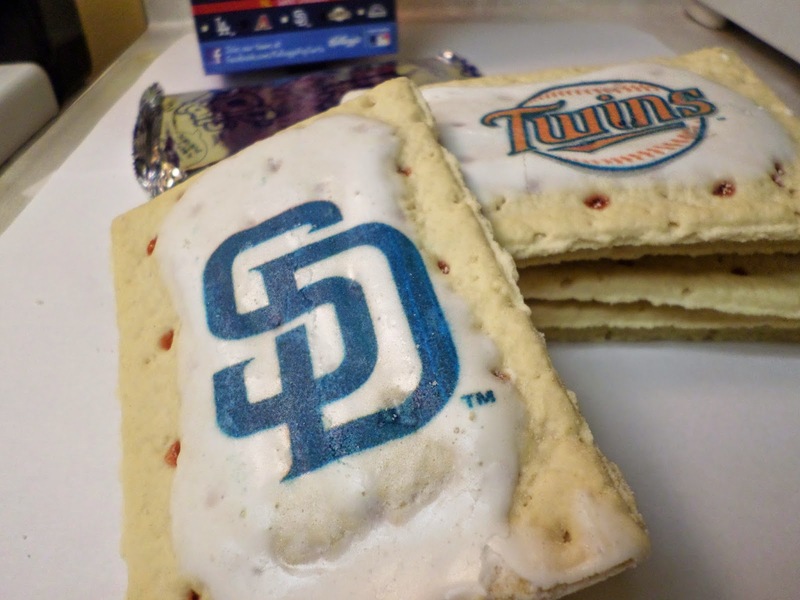 I've never had anything against San Diego, and I don't mind the Twins. Fun Fact: my mother lived in Minnesota for a time. I got a visor that was kind of like Geordi's from TNG from some shop in the Mall of America. On to the last package. 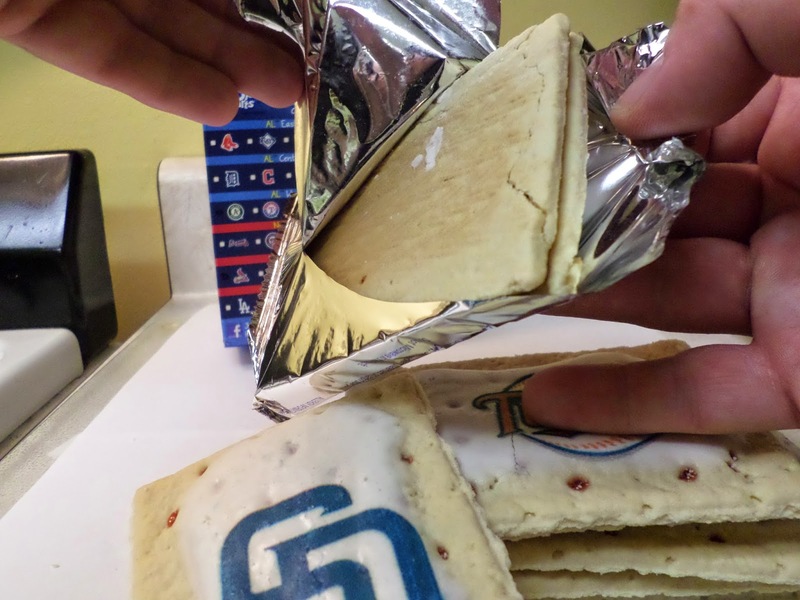 Please let there be a Tigers logo on one of these! Crap! And although most of them are on the back, I find it very amusing that the Toronto one is covered in cracks. Because Rob Ford. 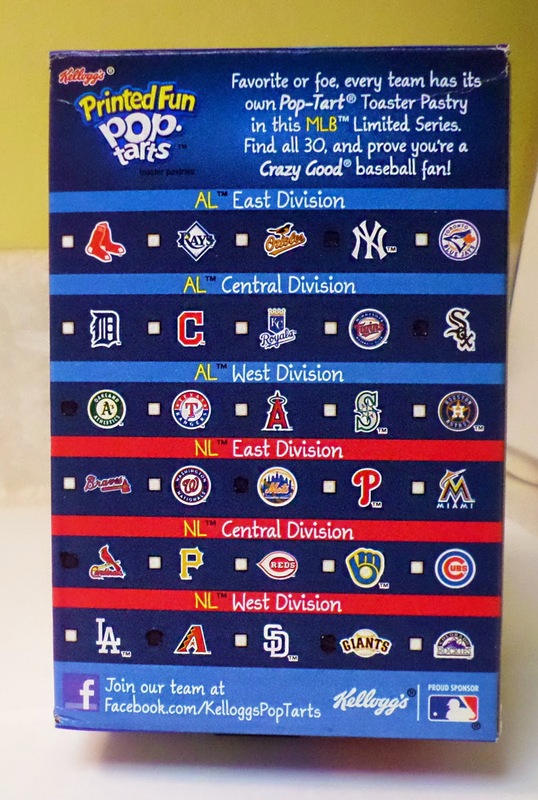 Well, I didn't get the Tigers, but at least I didn't get the Yankees, Red Sox, or that God forsaken MLB logo. 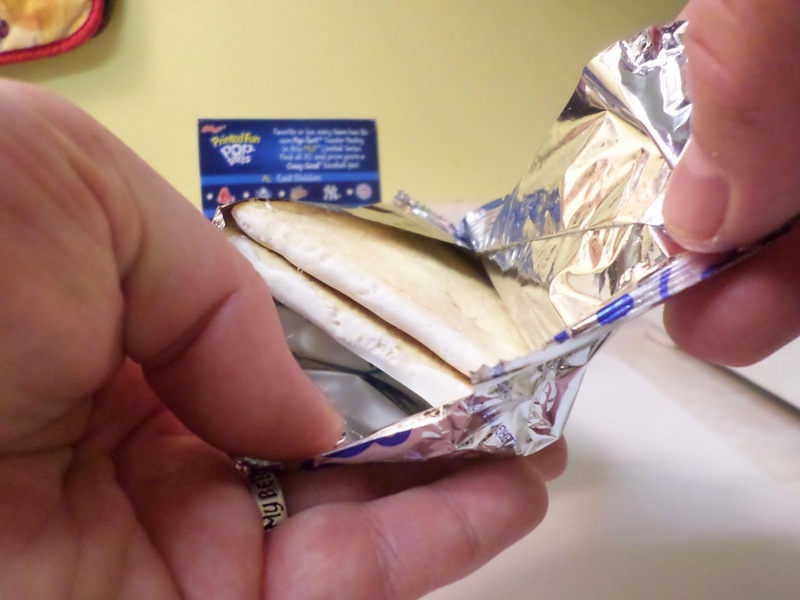 And in the end, all that matters is the fact that I got some strawberry Pop-Tarts to eat. And if you are wondering whether or not I will be getting more of these, the answer is probably yes.